Expect the best as its our goal to help increase student attendance at your next school dance. If your school dance DJ is great, students will say they had a great time. If the DJ entertainment is bad, your students will remember the school dance as a dud. We enjoy working with students of all ages as they become responsive to the popular music that we spin. If there is a theme, we may even mix in a few songs that fit. We live mix our music with smooth transitions from one song to another. We ensure that there is no dead air to keep our school dance floors lively. 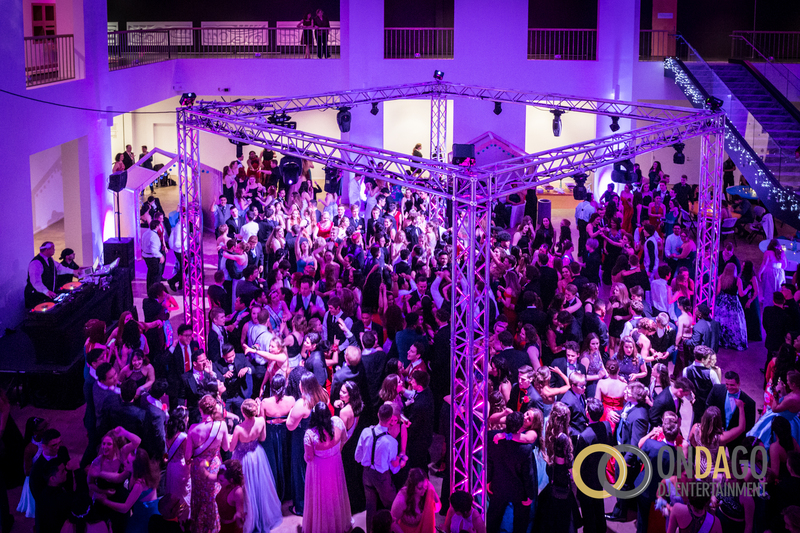 Our school dance experience gives us the ability to heat up or cool the dance floor for those occasions where the dancing can become out of hand. We are responsible on the demeanor of the large group of students and focus on providing a fun and safe atmosphere. Our professional music subscriptions provide us with clean edits of some of today’s questionable music. Our song library and customized playlist is updated on a weekly basis. We always welcome and encourage the school’s planing committee to submit a list of requested songs to as each school can differ by region and we want to ensure we are playing what wants to be heard. It is a must to bring the boom when it comes to today’s hip-hop, trap, R&B and electronic dance music. These genres require lots of low-end bass. We have multiple configurations for our sound systems as the demands for an elementary school dance differs from a high school dance. Our light systems include intelligent LED dance lights that move, change color, fade, and strobe to the beat of the music. Again, we use multiple light fixture combinations to provide different levels of impact. We have specialty fixtures that can match event themes with gobo projection designs and LED blacklight fixtures. Pricing varies due to configuration of setup. Want to add a little more to your next school dance? Add a fun open-air style photo booth. The open-air style ensures students don’t get too crazy in a normally enclosed space. We have high quality props and provide a fun experience full of laughs. We provide a special photo booth rental rates for schools when booked with DJ service. Contact us for details.